The Holly shrub, botanically known as Ilex, is a genus comprising of about 400 species. Holly is an ancient plant that has been used by former civilizations for decoration and ceremonial reasons. The holly plant, with the shiny dark green leaves and prickly edges have been mentioned from pagan times when the Druids adorned themselves with holly as they entered the woods. Holly also has had a long connection with Christmas. Some of the first Christians decorated their homes with ‘Boughs of Holly’. Today, hollies are widely used as ornamental plants and have been developed for gardens. Hollies range in size from less than 1 foot to plants over 70 feet tall. They are popular because of their dark, evergreen leaves and their production of berries which are usually red. Holly berries are not edible for humans. Birds and some other small mammals will eat them after they go through the freeze and thaw process several times. The Holly berries sustain many species of birds in late winter when food is scarce. Hollies like to be planted full sun and well drained, acidic soils. Prune hollies to optimize more leaf production. 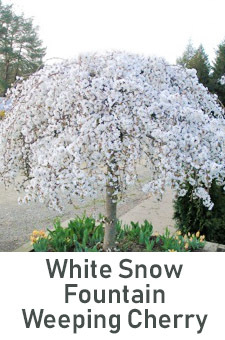 Prune them in late summer throughout fall and winter. We offer several varieties of holly. Click the photos to learn more, or call our plant experts at (888) 864-7663.